BBT (groothandel, zowel als de winkel) is tijdens de kerstperiode gesloten vanaf maandag 24 december 2018 tot en met 1 januari 2019. Nous sommes fermés pendant les vacances de Noël à partir de lundi 24 décembre 2018 jusqu’au 1 janvier 2019. We’re are closed during the Christmas holidays from Monday 24 December 2018 till 1 January 2019. Wegen Weihnachtsferien sind wir ab Montag den 24. Dezember 2018 bis den 1. Januar 2019 geschlossen. Christmas is always a good time to look back over the year. Look back, see and feel who was important in the last years. And therefore we like to thank you, customers, distributors, suppliers, supporters and friends. Thank you so much, for making BBT of what it is today and give us the opportunity to serve you even better in the years to come. The happiness we give you, we like to share with all of you as well. Together we can create wonderful things, let’s continue together. Enjoy the christmas card from our whole team! In a week where there was more political turmoil than VW parts, we managed to get another couple of projects to a “perfect” finish! Political wise I don’t feel the need to write anything, because the low profile political games they played this week (and especially in Belgium) are not worth my words, thoughts or comments. Or as I read in a column the political class of today is only busy with their own profile, not with what really matters… actually I think this lady is right! But meanwhile we do have a new nice pallet of brand new parts and a couple of back in stocks to write about and warm up our fingertips on our keyboards. What started as a rough idea in the summer of 2016 is finished now. 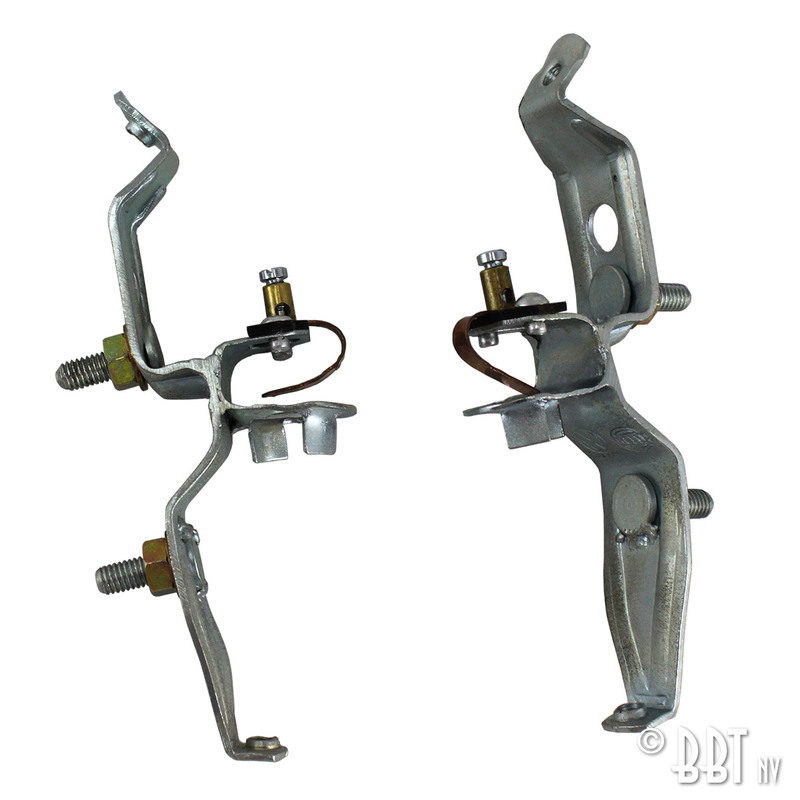 We made the worm for the early bay window (T2a) steering box. 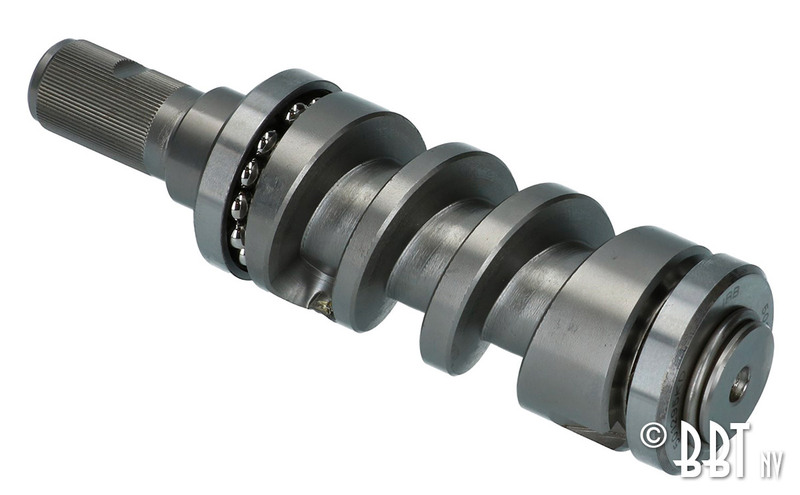 Made by a highly specialised steering box components manufacturer in Europe, this is really top of the bill! 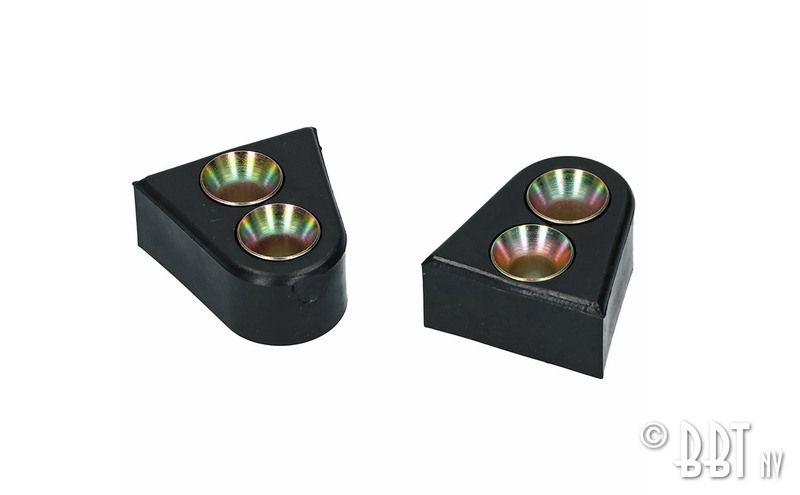 Many of the early bay window steering boxes have worn out worms… well here we offer the solution. 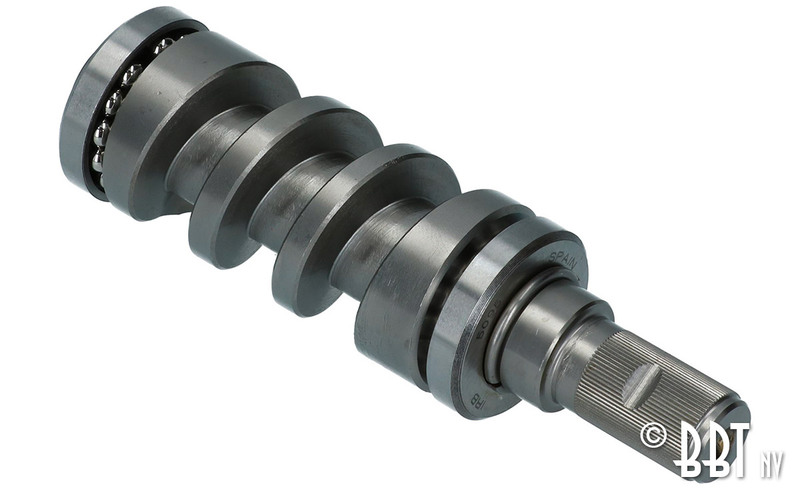 Currently we’re working on a peg roller bearing pen with correct dimensions (there exist several reproductions with all different but none correct dimensions) but our worm functions perfectly with NOS and good used peg roller bearing pens, we tried and tested multiple very intensively! 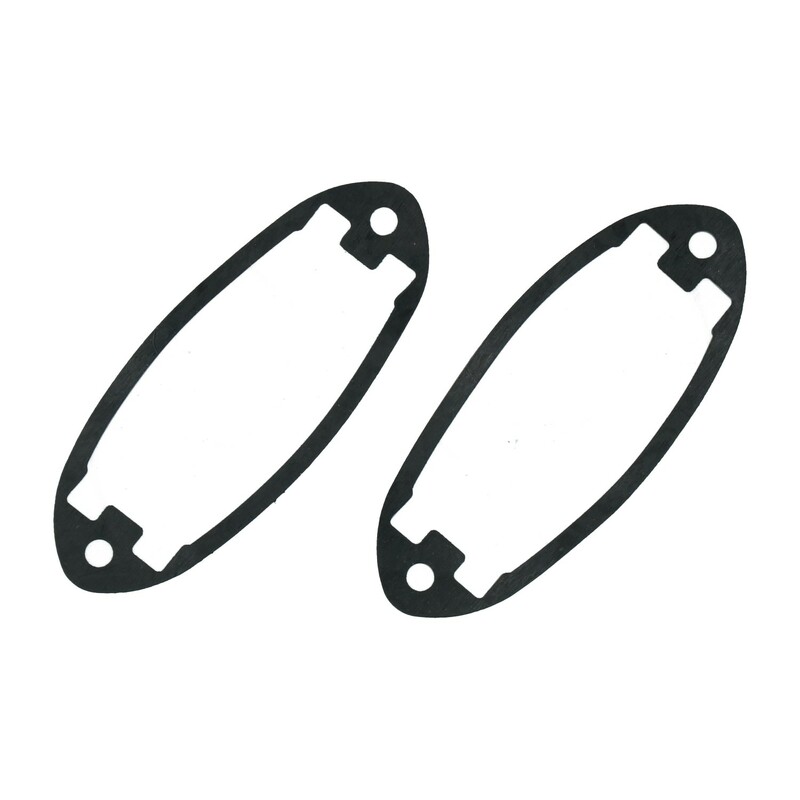 Our worms come complete, bearing and clips are pre-mounted, for easy assembling. 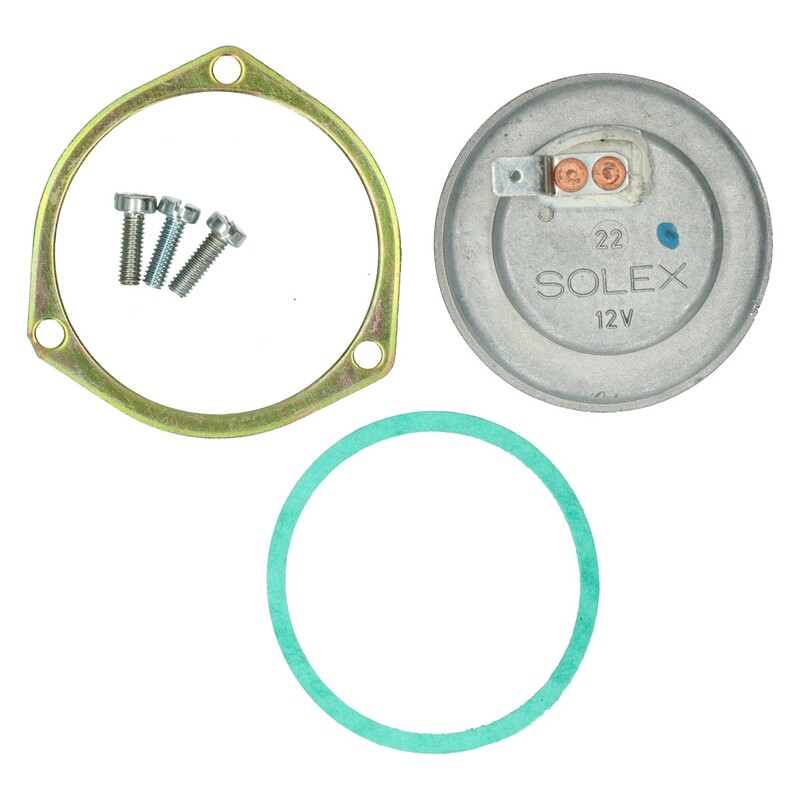 We sell the oil seals for these steering boxes separately under BBT 1368-210 and 1368-211. This is a 100% BBT product, quality guaranteed! Beware for cheap & inferior imitations! Making a good worm as it should is not an easy one! The next new product we already had for longer time, but not in our catalogs yet. 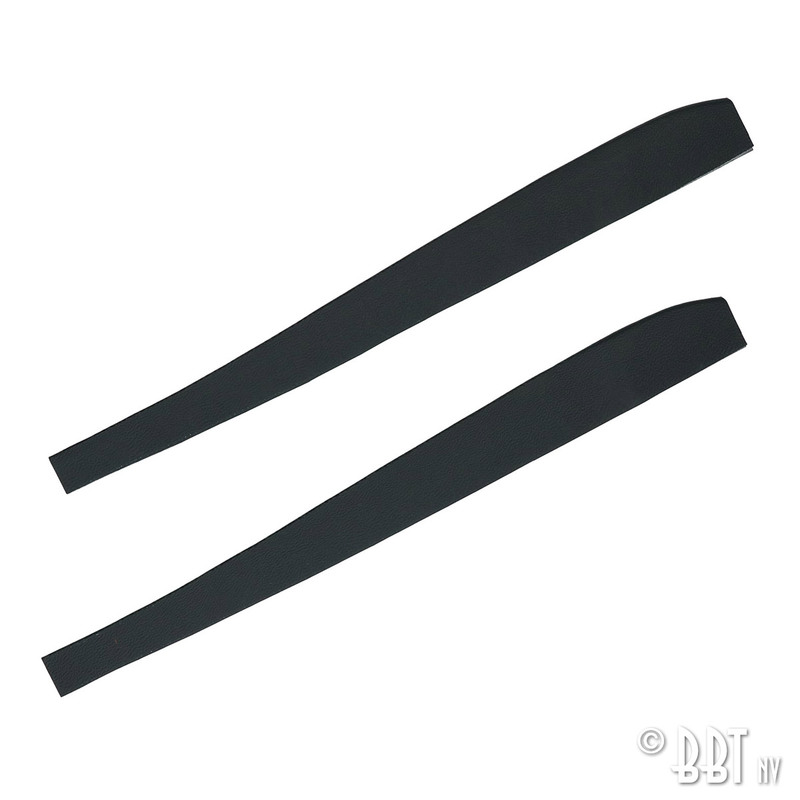 So now we offer the choke element for your PDSIT carburetor. 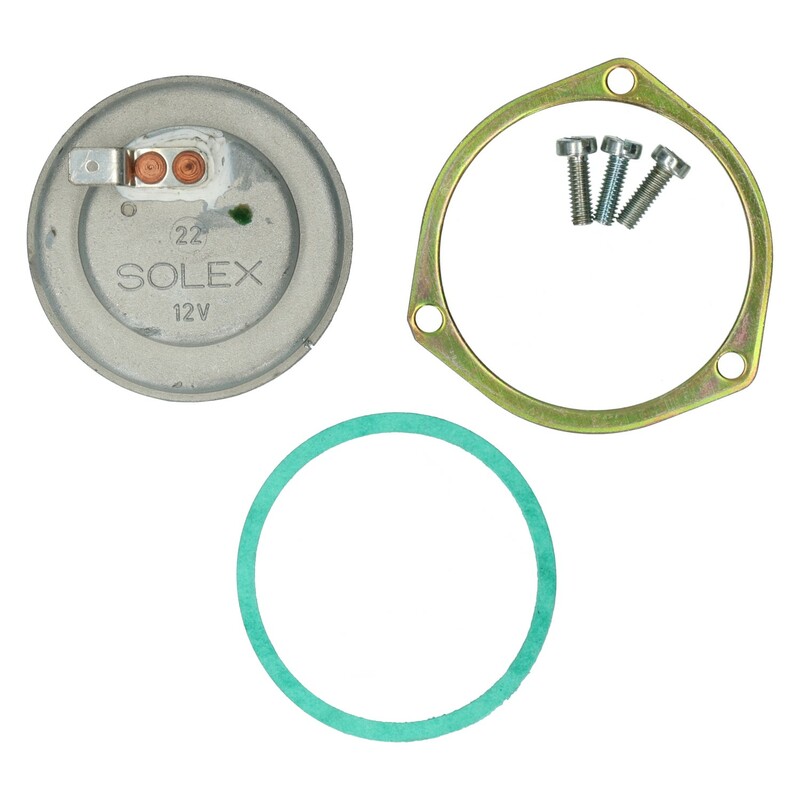 Solex PDSIT are the original carburetors for your type 3 and 4 engines. Please note this choke element is different for left and right side. Finally back in stock after searching the world for about half a year or so, we’re happy we got those back in a perfect quality. 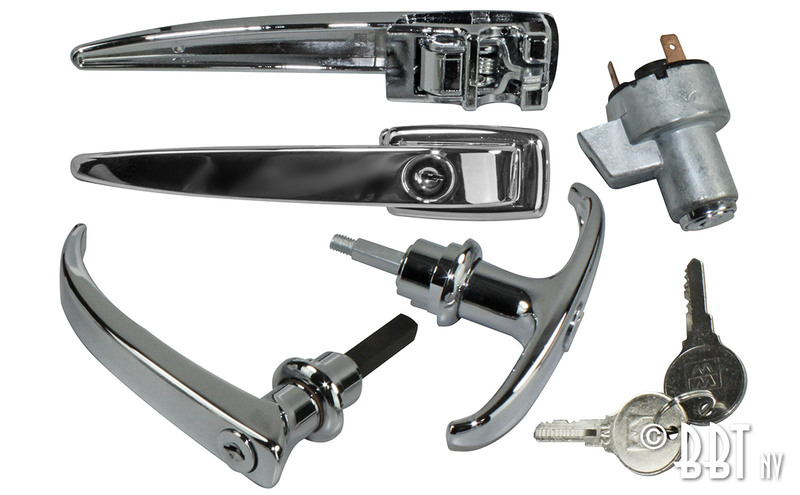 And also the rebuild set for the king pin central on your front axle of your split window bus came back in earlier this week and is ready for immediate delivery. That’s about it for this week news. Just a small message that BBT will be completely shut down next friday. We will be entirely closed between the Christmas and New Year. So if you want another order, before New Year pls order asap, next week we will ship out all orders we receive, and after that it will be after January 2nd. Next Friday we will be there with the last BBT News of the year. We wish you all a very happy winter weekend! Yep, another week has gone, and was it worth full? You bet! Ah, what an easy living world full of wonders we may live in our daily life, the wonderful world of our Volkswagens. That’s exactly what we did this whole week en some new arrivals made it pretty interesting to do…. 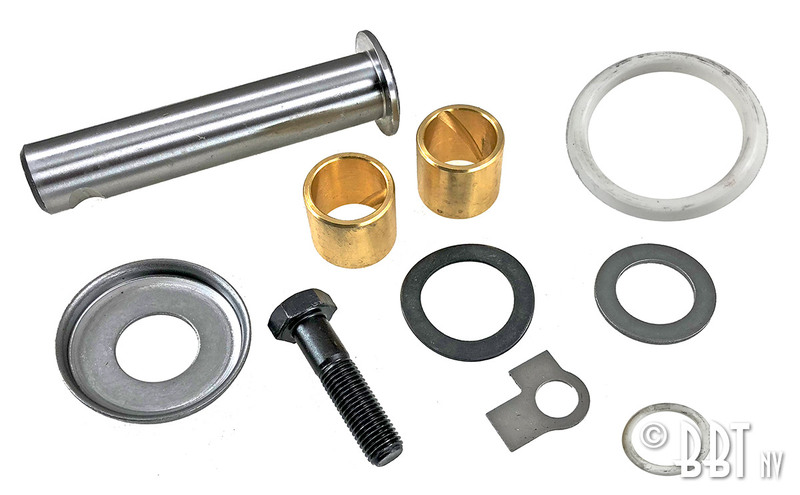 Next we added some items for Karmann Ghia to our ever-growing range of Ghia parts. We like these little cars, and really see them as our little sporty car of the range. 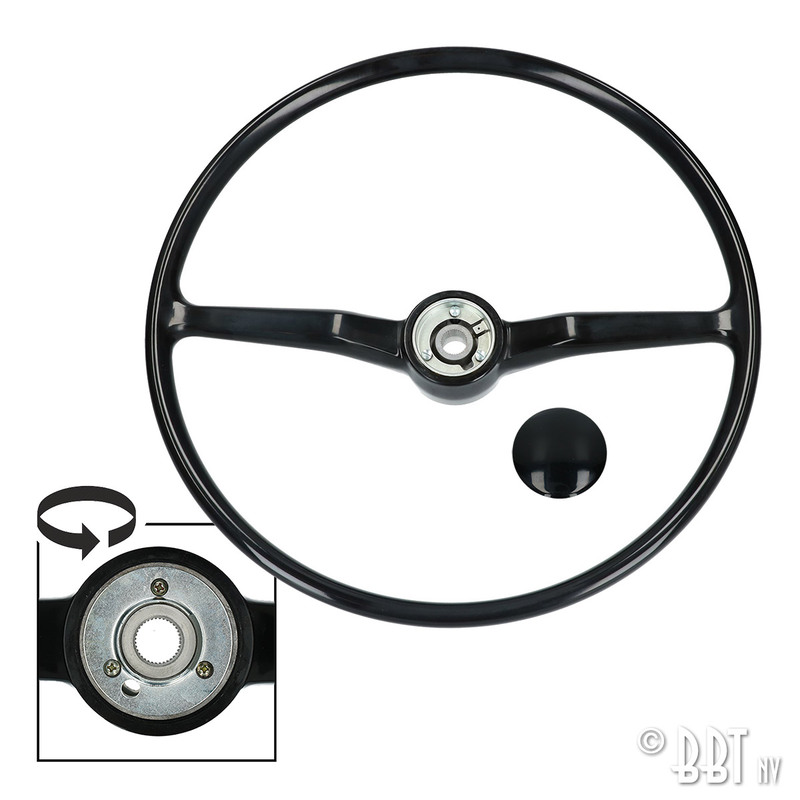 Next product we brought in this week is very specific for Karmann Ghia convertible, as it’s always broken or missing we thought this would be a perfect product to stock for your Ghia. 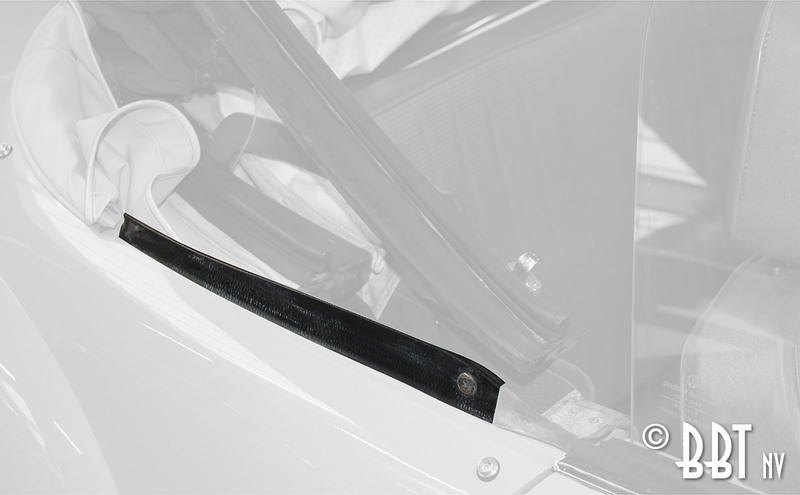 It’s the plastic cover over the seam from the rear panel left and right behind the B-pillar. 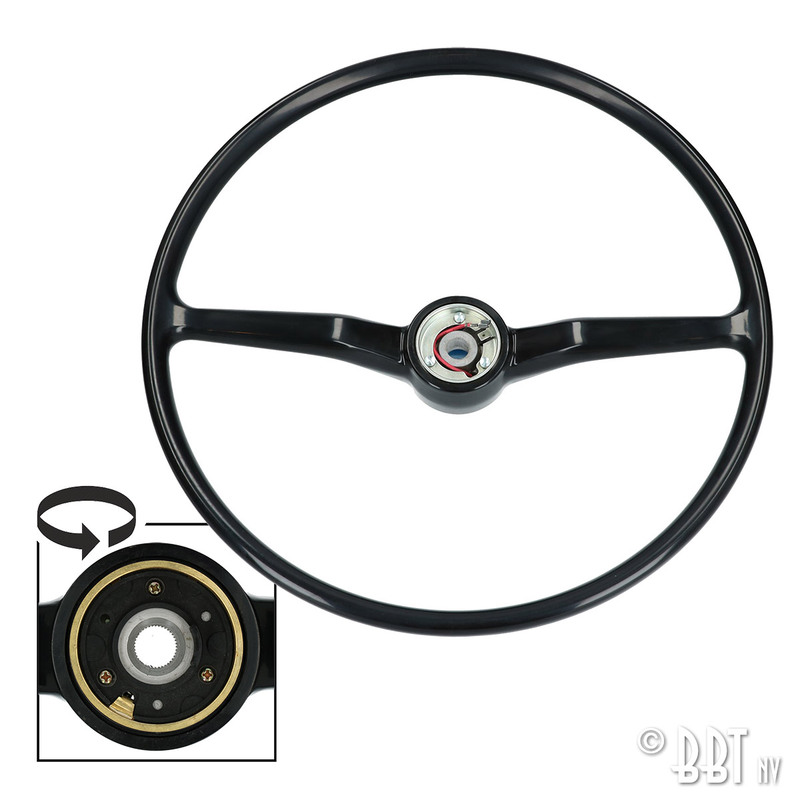 They come in ABS kind of plastic exactly like original, for the right looks, and because it’s for a Ghia, in the right style. Order yours now! 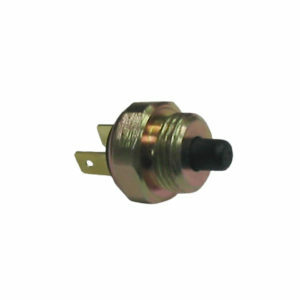 This week we got finally our reverse light switches back in stock after way too long being unavailable. The BBT News Team wish you a peaceful weekend, avoid thinking about politics and migration, and sweet dreams about our Volkswagens. Enjoy! Work on your safety! 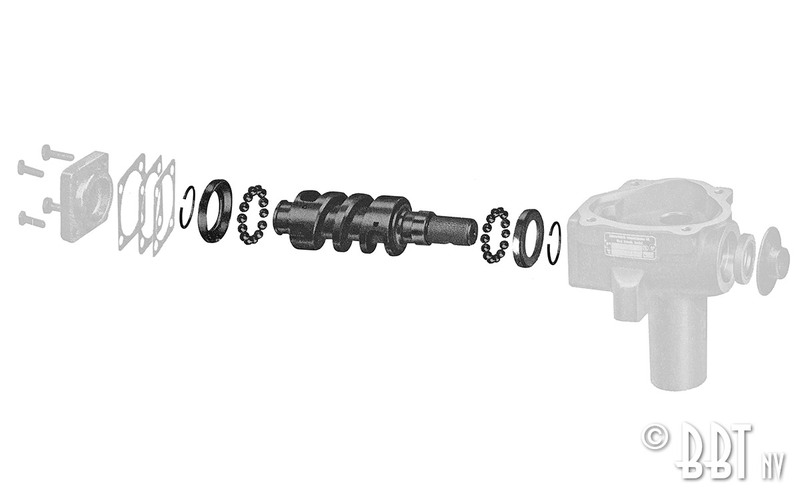 This little valve keeps the vacuum to your servo when your engine stalls, so your servo keeps working (and let you brake normally) when your engine stalls… This valve You can find in between your vacuum line right after your inlet manifolds, make sure yours is in place and works fine or replace with BBT’s perfect reproduction. 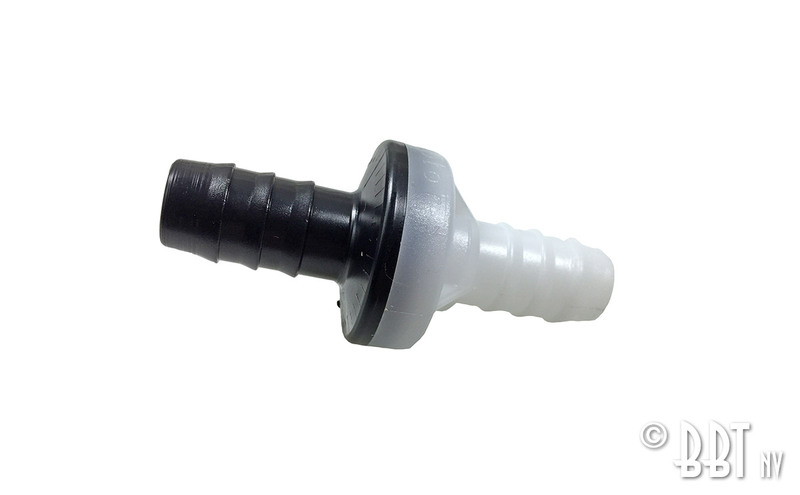 we do have a limited stock of these fine bulbholders for your very early cars back in stock, get yours as long as stocks last…. 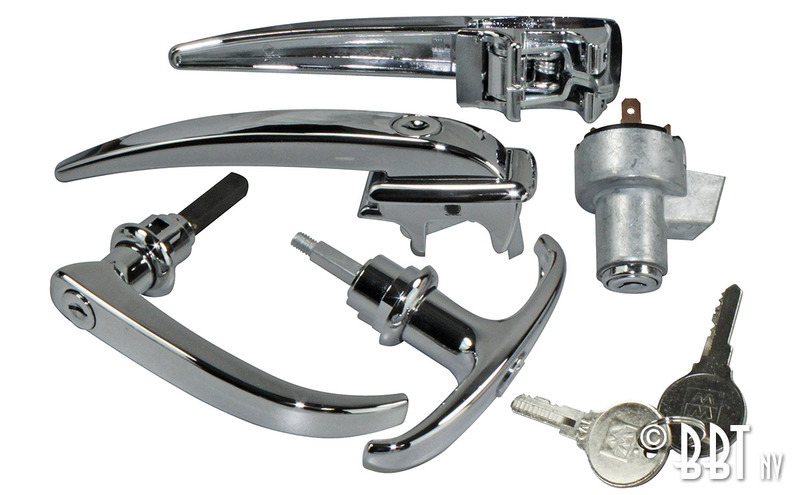 Our prefered partner Wolfsburg West from California USA brought out a full line of locks and latches for your split window bus build between 1955 and 1963. 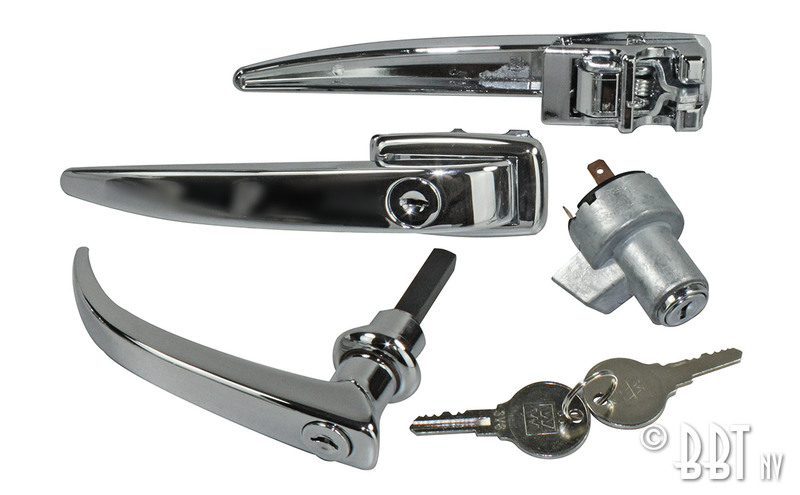 These locking and latches set is all complete for all that needs a key with simple one fitting key for all and every set will come with two keys, exactly like You bus came new from the factory… now how cool is that? Just as standard or stock as it can be! LOCK THAT BUS OF YOU PROPERLY! 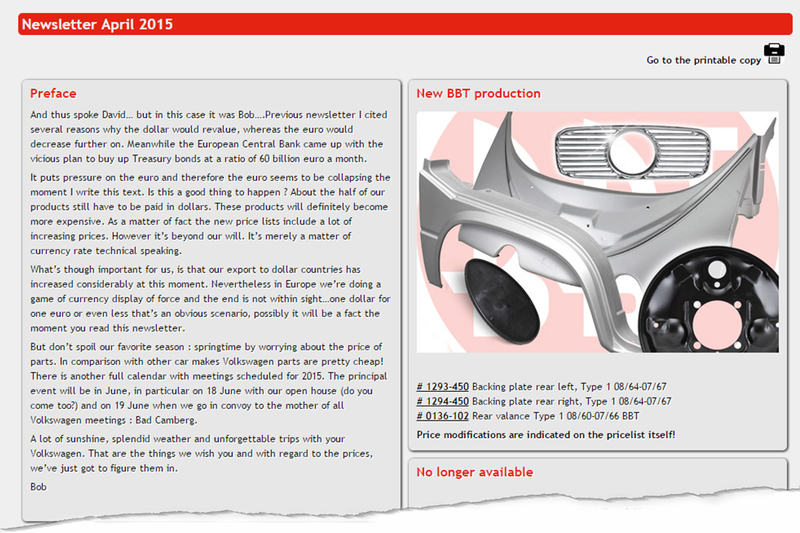 BBT’s april 2015 Newsletter is out now! 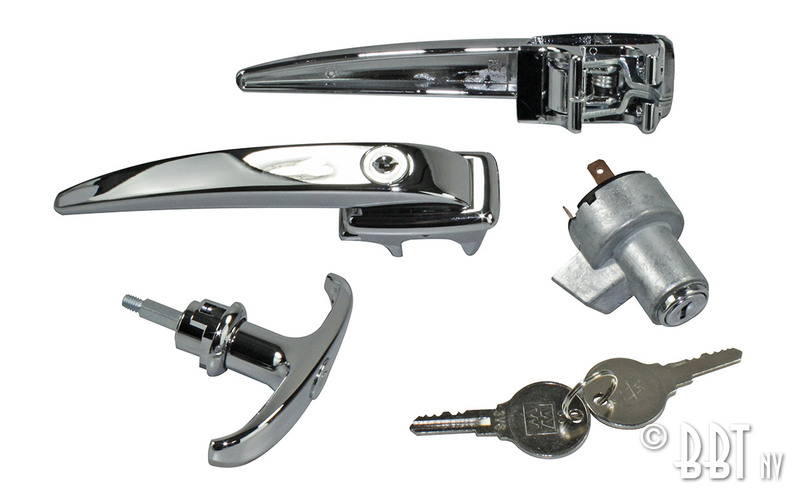 30 new items have been added to our parts range.